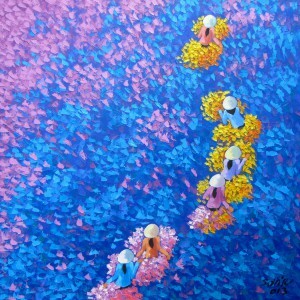 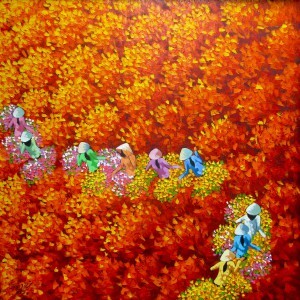 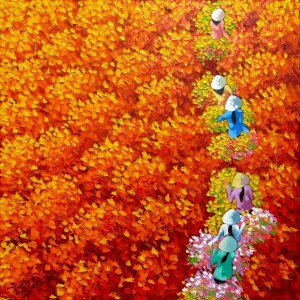 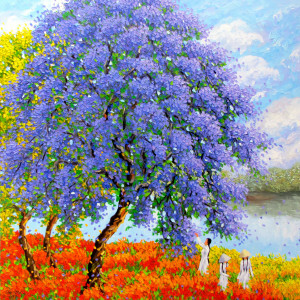 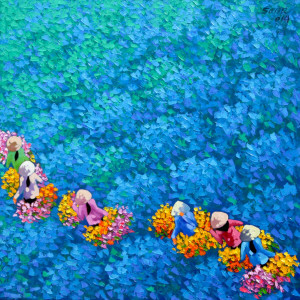 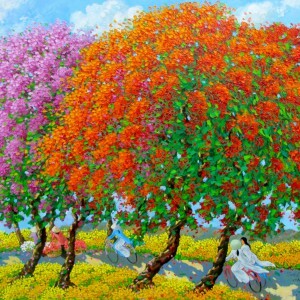 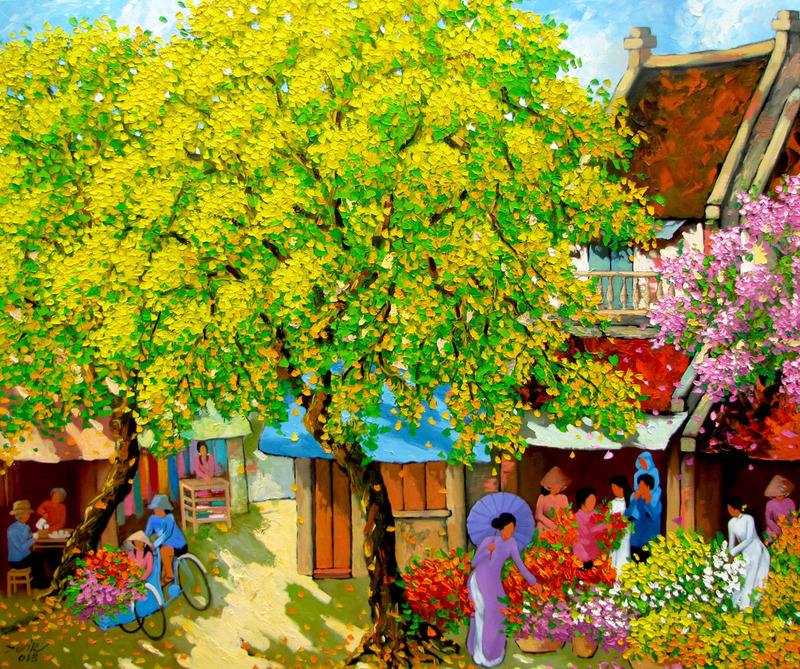 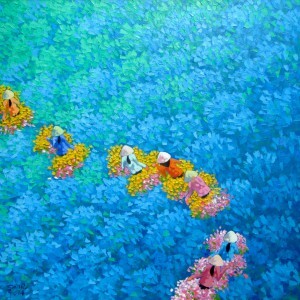 Inspired by Impressionism, this is a happy frame by Duong Ngoc Son with bright colors, characteristic of spring time in Vietnam. 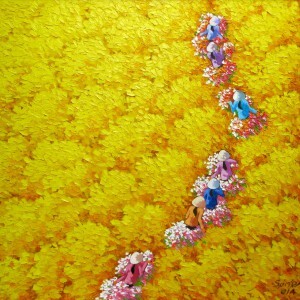 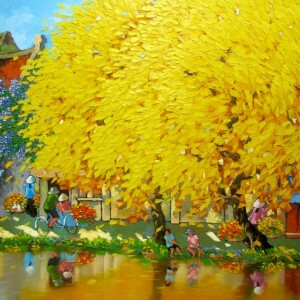 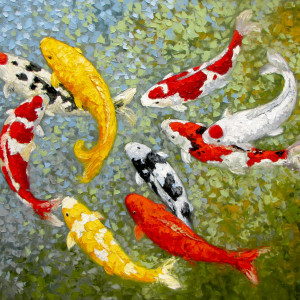 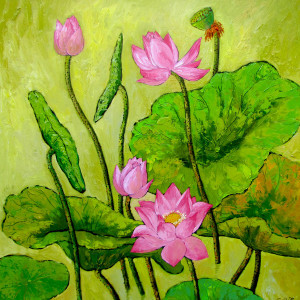 This is a good example of contemporary landscape paintings by an Asian artist. 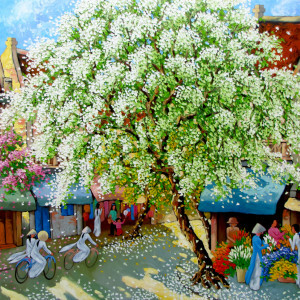 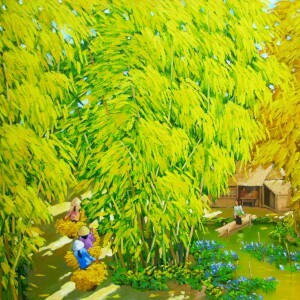 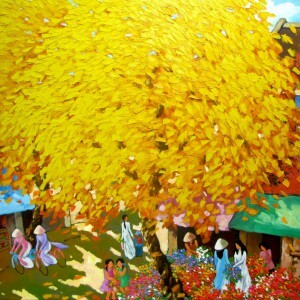 Daily life continuing amidst the vivid bright colors of the blooming trees and the interplay of light and shade has been captured beautifully by the artist.